Binary options are the hot new thing in trading nowadays, and because of the simplicity it offers, many people jump in and trade uninformed. As a result, many newcomers end up committing crucial mistakes that might haunt them in the end. In this article, we’re going to explore some of the most common mistakes people make when trading binary options and how to avoid them. With binary options, just like any trade, you have to have proper money management in order to be successful. Even if you went over every page of the Stern Options blog, gained all the knowledge you could, and subscribed to every channel or newsletter, you will never get far if you don’t have a solid money management strategy in place before you start. In order to be successful with binary trading, you have to adopt a logical money management approach that will allow you to lower the risks associated with the multiple positions you might be opening. A good rule of thumb is to never invest more than 10% of your operational liquid assets in the trade. This way you’ll have enough to test the waters without trading with “scared money”. Another mistake people have when they start trading in binary options is unrealistic expectations. 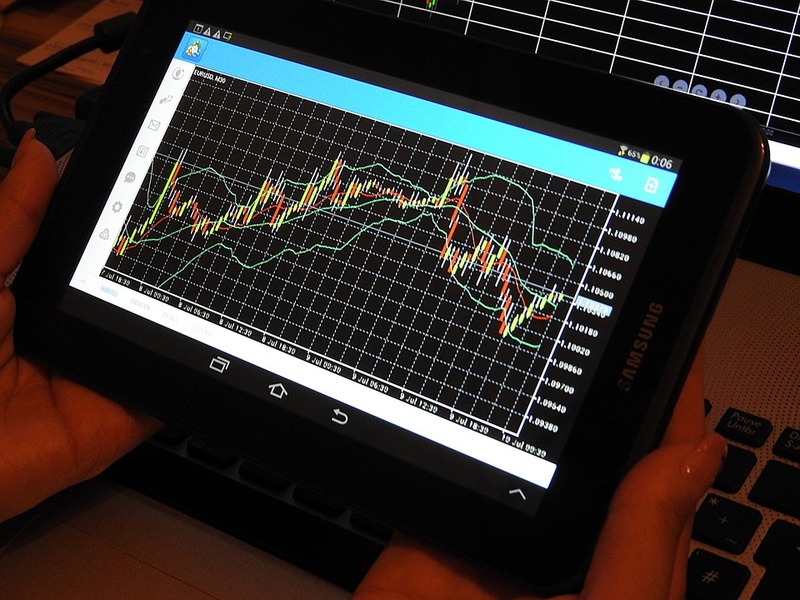 Binary options trading is viewed by many as the gold rush of trading and has been compared to gambling in many ways. While it might seem like this to the untrained eye, binary options are not some kind of get rich quick scheme. Binary options demand a lot of time and patience to master and a trader will usually have to win more than half of their positions to even break even. So, thinking you’ll make thousands in a matter of weeks just because you’ve stumbled across this great new “strategy” is pure folly. Expecting to get a 100% on investment from the get go is just a wrong way to go at it, and might set you up for major disappointment. While it is possible to multiply your assets with binary options, set your goals low at first and work until you set them. After you’ve reached your first benchmark, you can continue to set higher goals, again using the 10% rule. This way you’ll gradually make your way to bigger gains without incurring devastating loses. Too many traders have a shiny ball syndrome when they first get started with binary options. They jump on any and every position they have the chance to and often do so on a whim. This is often the case with those who trade the news. They might hear of a certain earnings report that is exceeding analysts’ expectations or news of a devastating recall. In other cases, people might be entering too many trades because they’ve suffered multiple consecutive losses. They might enter tilt mode and start trading incessantly to recover their losses. This is a very dangerous spiral many new traders fall into which can easily gobble up their whole budget. On the other end of the spectrum, you might have traders who end up feeling elated once they’ve made a few consecutive wins. Riding on a wave, these traders may get a sense of invincibility because they feel like they’ve “beaten the market”. Both states are very dangerous to a budding trader and could easily put you in the red. Trading based on emotions is one of the most dangerous way to approach the markets. If you feel like you’re getting too excited or going on tilt, take a step back and breathe. Stopping to reevaluate your options might be the best move you ever make. As I said earlier, many people compare binary options trading with gambling. In some jurisdictions, binary options trading is even referred to as “financial gambling”. But binary options trading works pretty much like any other form of trading and obeys the same rules in many ways. While some of the methods differ, some basic rules have to be applied as well. While gambling strategies are more often than not based on non verifiable factors, there are plenty of sound binary option strategies that have nothing to do with luck. Some binary option traders just think that because a certain stock is going up and down, they can simply do some guesswork and hope for the best. If you want to be successful as a binary options trader, you need to move and think like a trader. Make use of charts, tools, and even consider looking at advanced strategies like Fibonacci levels. Don’t be afraid to use as many strategies as possible and choose one that you feel comfortable with. After you’ve been trading for a certain amount of time, you may incur losses or gains. Whatever direction your assets went, you have to know which actions may have caused these fluctuations so you can either replicate your success or restrain from making the same mistakes. This is where your trading journal comes in. For each and every position closed, you should note which instrument has been used, how the market was interpreted on your part, and what prediction was made according to this data. This way you’ll be able to check if you were completely off the mark or if you can identify some winning patterns so you can replicate them on future trades. After a while, you’ll be able to identify certain assets, methods or options worked the best for you. A journal will give you a clear black and white rendition of what you’ve done and will help you identify connections that would have gone forgotten. A marketing journal is an essential tool for any new trader. If you manage to steer away from some of the mistakes in this article, you should able to start your binary trading adventure on the right foot. Make sure you keep a diary and do not trade based on emotion. Also, make sure that you don’t have a gambler’s mindset and open to many positions in a short period of time. And last, but not least, make sure you have a solid money management strategy in place before you even get started.